Cairo: We flew into Cairo Egypt from Athens Greece. It was a short flight. We arrived at 10 pm and the streets were crowded. We stayed at City View Hotel. Cairo in itself is a huge city, busy and dirty with a lot of poverty. I liked the location of this hotel, 15 minutes from the Giza pyramids, a short walk to the Egyptian Museum and close the Nile River. The hotel had a weird smell to it. The elevator barely worked. There was a bug light catcher in the foyer for mosquitoes, which looked bad and was noisy, but I am glad I never got bit by a mosquito. Our room was really dirty- probably the worst we have ever stayed in. The beds were hard and small. We slept with ear plugs because of the city noise; however we are not use to noise at home. If you are from a big city and like that white noise with honking even at 3am in the morning, then it probably won’t bother you. At the Egyptian Museum we saw mummies without their wrappings that still had their fingernails and hair because they were preserved. The hotel had a restaurant which was convenient. We stayed here because of the location. The food at City View was okay. You have to pay to use the bathroom anywhere you go in Egypt. Everybody is looking for a handout. Even the tour operators will tell you where you should and should not shop because they get a commission. I had heard to ask for a “White” Taxi where they actually have a meter that shows you the cost instead of the taxi cab driver trying to overcharge you like they all do. When we asked for a white taxi they will say yes I have one, and then they will act like they don’t know what you are talking about after you get in. Get a price of the cab ride before you get into the car. Egypt in general likes cash for everything. The only place that really took credit was the hotels. Even the tours wanted you to pay in cash. We went on a City and Ancient Ruin Tour that we booked from our hotel in Cairo. We are American, but the tour guide told the guard we were German for one of the Ancient Ruins. I am glad the guard didn’t ask us because I don’t know one word in German. He wouldn’t have let us through if he knew we were American. We chose not to stop and eat lunch because we were out in the middle of no-where. We saw people fishing in a river that had dead animals and trash everywhere next to it and in it. We saw children playing on and around huge garbage piles. We didn’t trust any of the restaurants outside from City View Hotel to eat. The tour included Sakkara, located only 27 km southwest away from Cairo. Saqarra is a very large open air desert area. It’s about one hour driving from Cairo and about half hour driving from Giza Pyramids. 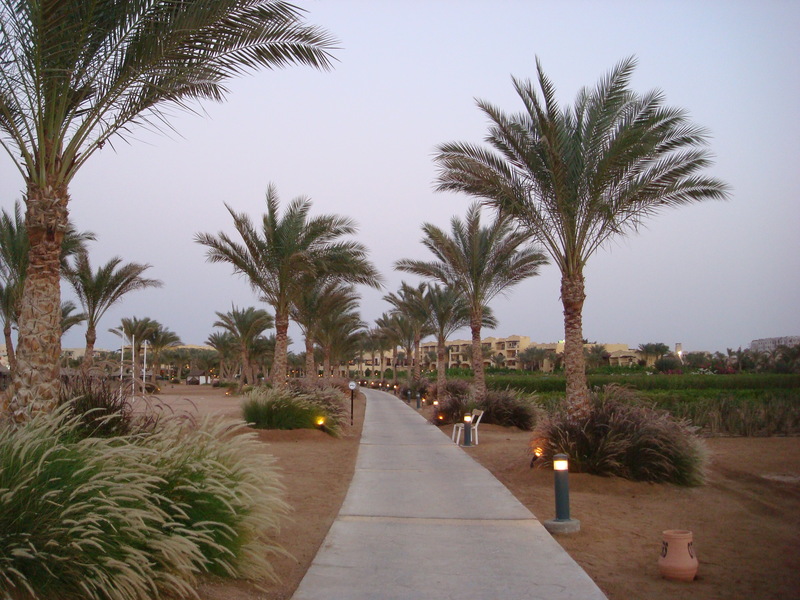 Saqarra is located in a country area so you will have a good chance to enjoy the modern Egyptian country side where you will learn about the local customs and traditions of Egyptian peasants. Saqarra is a very rich archaeological necropolis where you will see the Funeral Complex of King Zoser including his Step-Pyramid; the oldest pyramid in Egypt. It shows the beauty and excellence of Ancient Egyptian art on their walls and gives an insight into the daily life of Ancient Egypt. The walls of these tombs are covered by beautiful scenes of the daily life of ancient Egyptians. Visit the Step Pyramid (Built for king Zoser), it is considered an important part in the process of the pyramid evolution, which were made from the simple mastaba. Then visit to the pyramids of Unas & Oser-Kaf, the tomb of Mereruka, Ti & Pta-Hotep (Carved and painted tombs). Visit Memphis, the ancient capital of Egypt, where the colossal statue of Ramses II and the great Alabaster Sphinx are. 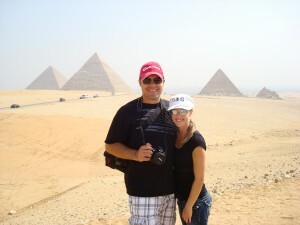 We woke up at 4:00 am for another tour to the pyramids with a 2 hr camel ride to watch the sunrise. Everyone was making comments about Americans and my blonde hair and a lot of men would call out to me and follow us for a little bit on their horses. Some of the women were also yelling and cursing me. People were up and watching tv on their porch. Even little kids were out playing in the dirt streets at 4:00 am. It is really ghetto around the pyramids with trash everywhere. On the walk in the sand to the pyramids we saw a couple of dead horses just rotting away on the side of the road. Marsa Alam: We had a short 1.5 hr flight with Egyptian Air to Marsa Alam and stayed at Iberotel Coraya Beach Resort for 5 nights and it was all inclusive. 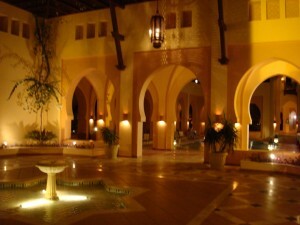 The resort is a 5 star and much nicer, quieter and cleaner than Cairo. 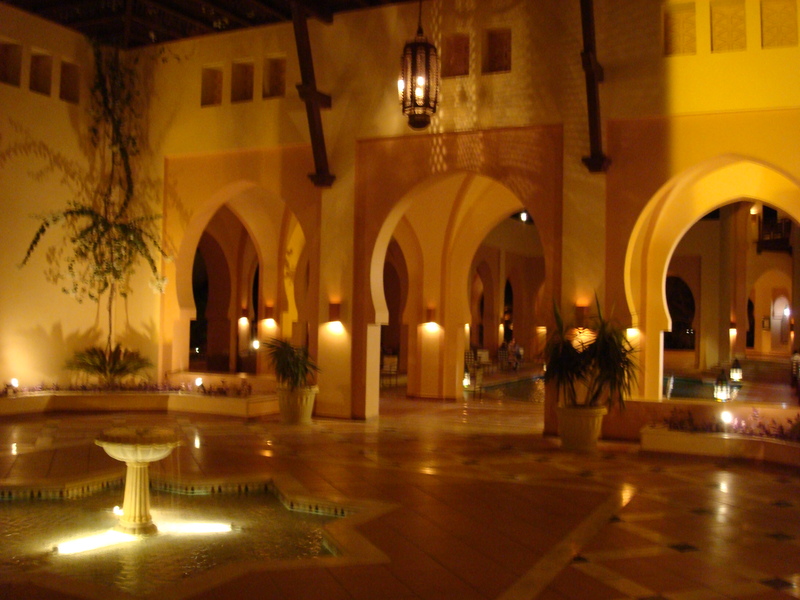 We loved staying at this hotel! The service and food was great. Most people at this hotel were British and so everyone assumed we were and they would say our accent is funny. The workers at the dive shop said they don’t get many Americans and thought that I was a little outspoken being female. We only saw one other couple from the US in all of Egypt. We went for the scuba diving and it was one of our favorite dive trips. The scuba diving is a short walk around a bay, about 10 min. We ate lunch on one of the scuba boats and the food was good, but it upset my stomach for a couple of days until I went to the pharmacy to get antibiotics. I love little pharmacies in other countries because you can get antibiotics without a prescription when you need them. The pool at the hotel was beautiful. We wanted to take a day trip to see Luxor and we should have booked through the hotel, but instead we went with an outside company. Because we are American we were supposed to show our passports to the road police gates at least 24 hrs in advance of wanting to pass them. The tour company didn’t tell us until 1:00 am the morning of. They called and woke us up and I didn’t trust who was calling saying they need our passports. So I didn’t fax it to them until 3:00 am. And they didn’t pick us up at 5:00 am like they said they would. Luxor would have been rushed to see it in one day. So, maybe someday we can go back and see it. We did have fun just hanging out at the hotel though. 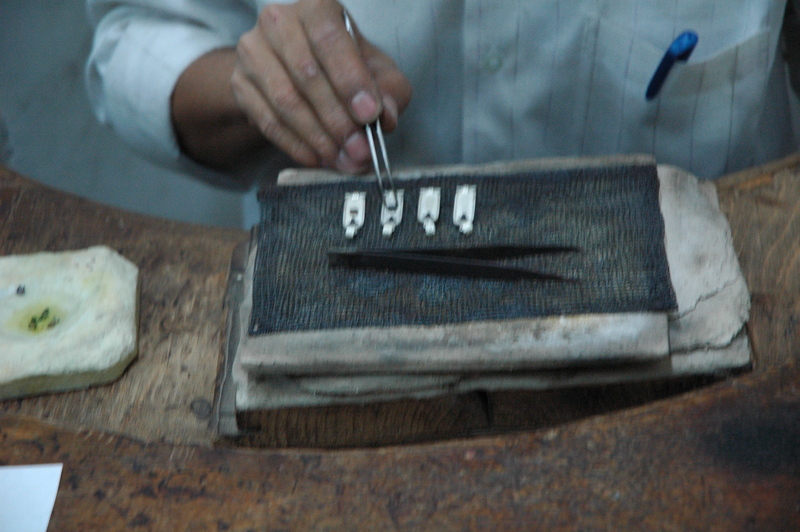 My only complaint was that the beds in Egypt feel really hard, but we found this to be true in Cairo as well. They aren’t the king memory foam beds like we have in the U.S.
Scuba Diving: You have to reserve your dives at least 24 hrs in advance which we thought was strange. For some of the more advanced dive sites or the ones that take you further out, you have to book to book 2 days in advance because they don’t go out every day. You also have to do an orientation to show that you can clear your mask, and for them to see how you do under the water before they take you out on any dive regardless of your experience level. We came here wanting to do a dive at Elphantstone which is world famous for sharks. However they require 50 logged dives which at the time we didn’t have. Dolphin House was another dive site you have to book 2 days in advance for and we had other things planned as well. So, that bummed us out a little. 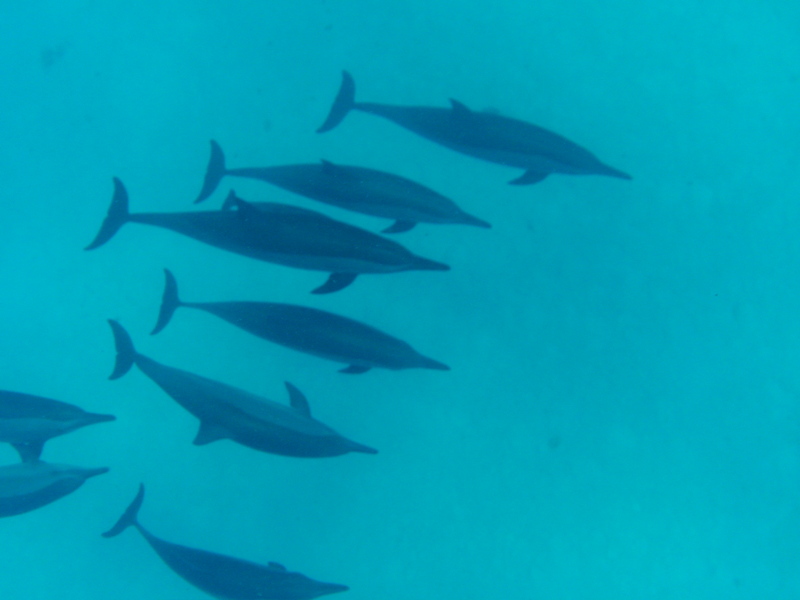 Then we saw dolphins at Shaab Marsa Alam dive site which was one of my favorite dive sites ever. We had to take a car ride an hour South then we got on a boat. They drivers crazy fast and I don’t usually get car sick, but I couldn’t watch out the window because it scared me so bad. We have been in lots of places with bad driving, but there wasn’t a lot out there so they drive fast and pass when they shouldn’t be passing cars. It was just Leo and me and a Polish guy with a few workers on the dive boat. We were on the boat all day. The water was absolutely gorgeous!!! Light blue, bright darker blue against a sea grass on top of a coral wall with the waves breaking on the reef followed by the dark deep blue ocean. In the background hills of rolling sand from the Sahara Desert. I spotted a really pretty blue and green spotted sting ray and then Leo found another one. There were lion fish and trumpet fish. We came up from the dive and they said that dolphins are by the boat. So they took us out on a small speed boat just ½ mile away and we jumped out and snorkeled with the Dolphins. Came back to the boat to eat lunch and then went out again. I didn’t have my snorkel but we had our masks. I got really good at holding my breath. They would also come up to the surface to play. There were 9 of them, one a teenager and one a baby that stayed under the mom. Some of them were mating and I felt like I was watching the nature channel. There were some other snorkelers around. The little speed boat would pick us up and drop us to where the dolphins swam to. Then we would jump in the boat when we got tired, we just kept going back and forth watching the beautiful creatures until we said we had enough and we were spent. Then we went down for our second dive close to the dolphins. That was the highlight of the trip with the dolphins. We saw a stone fish for the first time. And we swam through a cave and coming out was really pretty with the bright blue water. On another day we dove in the sea grass. I wanted to see Dennis the Dungong really bad and that is why we came to this dive site, but they are becoming extinct, and we didn’t see him. We did see the largest Sea Turtles ever! We saw lots of clams, a mini octopus, squid, a guitar shark, and a lot of other cool animal creatures. It was a shore dive and it was a beautiful day. The water here even in their Fall/Winter was so warm I didn’t need a wet suit. We drove out in a little truck again, and our driver was so crazy! It scared me. I couldn’t look out the window, I had to keep my head down and read. I think I gasped a couple times. See my pictures under scuba spots. Another day we dove on the house reef and also did a night dive.